Melbourne. I had purchased my ticket for this gig many months ago whilst under the influence of far too many beers. I checked my account the next say and could not figure out why I was so broke and then upon checking my emails I discovered the ticket confirmation. But going broke for this band is certainly not something I regret. 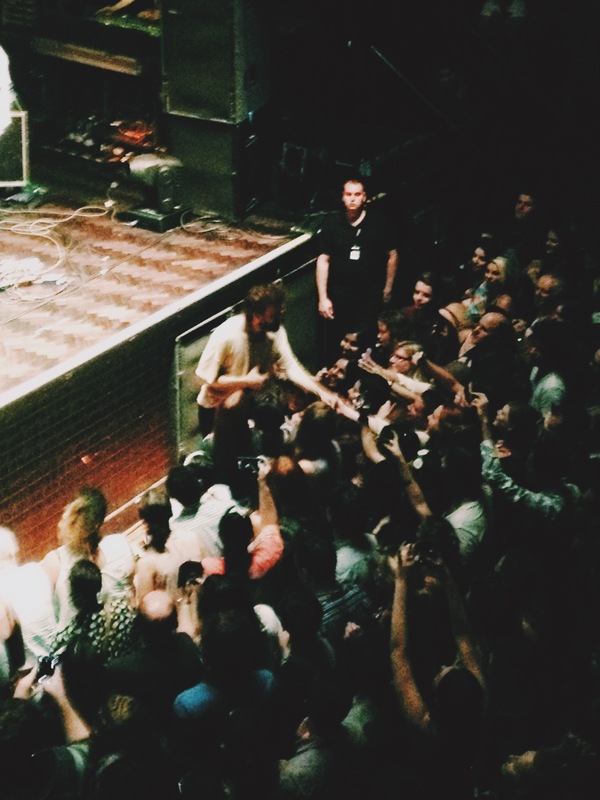 The anticipation filled the venue as the exceptionally passionate fans awaited the bands arrival to the stage. When they finally made themselves visible we were treated to all the classics old and new including ’40 Day Dreaming,’ ‘Better Days,’ ‘Jangling’ and of course my generations iconic love song ‘Home. 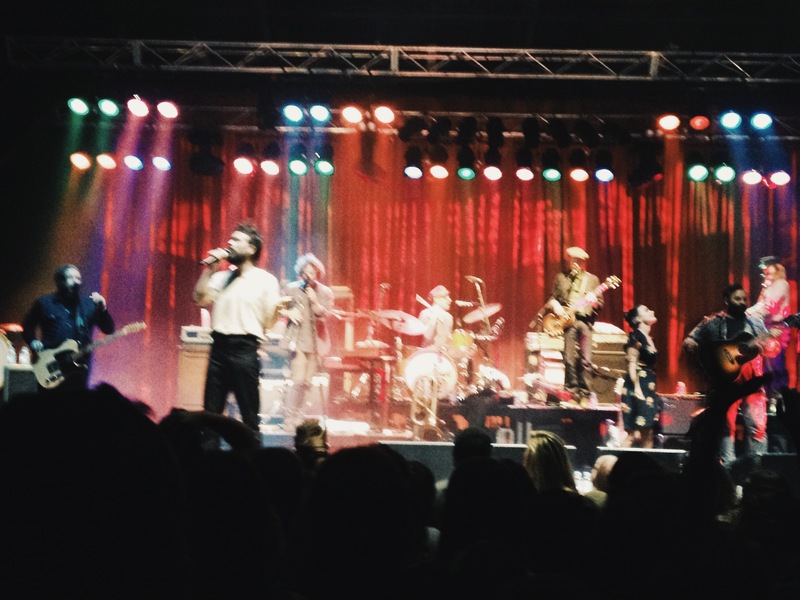 This was my third time to witness the Edward Sharpe magic and their growth as a group was evident in the way they performed and interacted with the crowd. The bands passionate leader, Alex Ebert left the stage a number of times to take requests from the crowd and even ask them to sing the lyrics in his place which was well received from every person in the venue. At one point Alex received a card from a diehard fan who was leaning over the barrier, he opened the card and began to read before pausing for a second. The card spoke about how the band had meet her in hospital in 2011 and how much hope they had given her to beat the disease she was fighting against, this was the quietest point of the evening, a truly striking scene. The interaction between Alex and the crowd seemed to make this particular performance rather personal and intimate and at times I felt as though I was included in a band rehearsal. Alex would converse with a member of the crowd before casually chatting to his bandmates about how they should perform that particular request. It was as though they were playing a lot of tracks for the first time, however they were doing it perfectly (if that makes sense). Although I have been told that the love shared between Alex and Jade has withered and died they seemed to hide it well as they broke into ‘Home.’ Gazing into each other’s eyes lovingly, those two are either very convincing actors or still feel romance in those lyrics. I know I still do even after hearing that song over and over again. I have no musical talent but if I had one wish it would be to be adopted by this travelling family and become a Magnetic Zero just so I can live the magical lifestyle they portrayed last night through yet another remarkable show. This entry was posted in melbourne, music and tagged alex ebert, big day out, edward sharpe and the magnetic zeros, home, live music, love songs, melbourne, the palace. Bookmark the permalink.